There was a large colony of monkeys in Barielly, Gaol and their antics were always worth watching. One incident impressed me. A baby monkey manages to come down into our barrack enclosure and he could not mount up the wall again. The warder and some convict, overseers and other prisoners caught hold of him and tied a bit "of string round his neck. The parents (presumably) of the little one saw all this from the top of high wall, and their Anger grew. Suddenly one of them, a huge monkey, jumped down and charged “almost right into crowd which surrounded the baby monkey. It was an extraordinary thing to do, for warders had sticks and lathis and they were waving them about, and there was quite a crowd of them. Reckless courage triumphed, and the crowd of humans fled terrified, leaving their sticks behind them. The little money was rescued. Sentences are given with blanks to be filled in with appropriate word(s). Four alternative are suggested for each questions. Choose the correct alternative out of four. 16. If two persons are interested ----------------------- the same thing, they are very likely to form a friendship. 17. As he is a member ----------------- the committee he may lead for me. 18. You must have sympathetic word for him who has fallen ------------------- evil days. 19. He was accompanied ------------------------ me to Kolkata. 20. I had promised to go, but had to cry -------------- at the last moment. 21. I shall have to do this ------------- fair means or foul. 22. He gained an advantage -------------- me. 23. On that question, I am afraid, I must part company ----------------- you. 24. The books are locked up and I cannot get ------------ them. 25. I have pail him ------------------ for the trick he played on me. In the following questions four alternatives are given for the word in italics in the sentence. Choose the one which best express the meaning of the word in italics and mark in the answer sheet. 26. David copperfield was a posthumous child. 27. He is strong enough to carry a capacious bag. 28. It is marvelous that he faced the situation with such equanimity. 29. He looked at me with hatred. 30. The minister denounced that such bribery would be indulged in. Choose from the alternatives an appropriate word opposite in meaning to the etalicised words in the following sentences. 31. He decreed the activities of the leader of the country. 32. He looked with displeasure at the meal. 33. All denounced him as a spy of the foreign land. 35. He lives in the lonely area of the city. The following groups of words are given. In each group one word is mispelt, indicate it give the answer. WBSSC Krishi Prayukti Sahayak Model Sample Question are provided here for free download. West Bengal Staff Selection Commission has released a notification to fill the 818 Krishi Prakyuti Sahayak Posts. So the candidates can get the WBSSC from this page. By having the Krishi Sahayak Model Sample Mock Test Question or West Bengal SSC Previous Papers, you can understand your capacity for the Written exam, and you can put more effort regarding the KPS exam. Candidates preparing for Prakyuti Sahayak Exam conducting by Staff Selection Commission can also get the Helper Exam Pattern, Syllabus along with WBSSC Previous Year Question Papers. Download the WBSSC Krishi Prayukti Sahayak Model Sample Question from the attached pdfs. People who are applying for KPS Jobs can download the old previous Question Papers to be published later. West Bengal Staff Selection Commission released this notification to fill the 818 Krishi Prakyoti Sahayak vacancies in WBSSC. The notification is issued to the candidates who are interested inWBSSC Jobs. Krishi Sahayak Model Sample Questions are attached in the PDF Format so that you can download freey. Along with these West Bengal SSC Question Papers, we have attached WB Staff Selection Commission Syllabus and Exam Pattern for the students. Go through the provided links provided here for downloading of Krishi Prakyuti Practice Papers. Check the West Bengal SSC Syllabus given here. Applicants who are willing to get a job in West Bengal should know the syllabus and Exam Pattern for this Krishi Prakyuti Sahayak Exam. 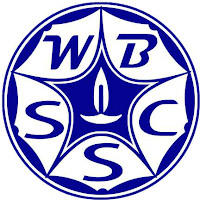 This WBSSC Syllabus helps you to know about the Sahayak Exam. Exam pattern is provided for KPS Posts released by WBSSC. Q NO 3 AND IS WRONG, THE MEANING OF ANTICS IS NOT HIGH JUMP..IT IS QUEER MANNER. PLS RECTIFY THIS.